In our last blog, we covered ways in which food and drinks can support the health of your mouth. We know now that your mouth can indicate much more about your overall health than we once thought. It can show signs of nutritional deficiencies, diabetes, heart issues, and general infection. There is a biosphere of bacteria and when it’s in balance your oral health thrives, but when the bad bacteria take over due to improper hygiene or a poor diet, it’s time to visit your local dentist! When the scale is tipped in the favor of the bad bacteria, this is when we see tooth decay such as cavities and gum disease. So, what can you do to help prevent the bad bacteria from invading? 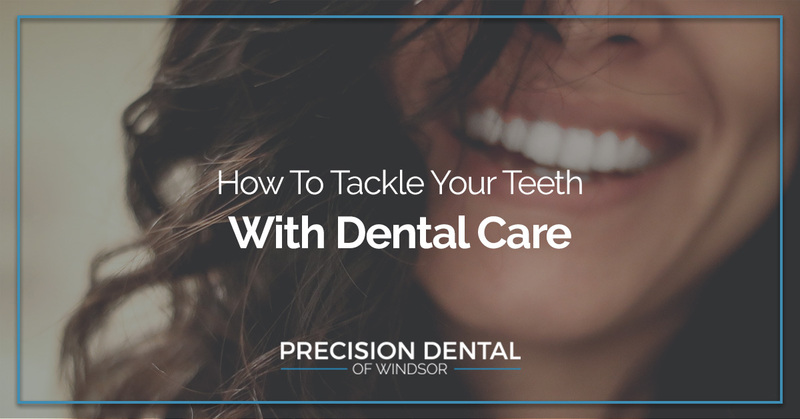 Tackling the following simple steps and incorporating them into your daily dental routine will benefit your overall health. From a young age we’re educated all about dental care — dentists come into schools and give talks about how to brush, when to brush, and how often — but as we get older a crucial conversation is missing. Having a conversation about how your dental health impacts your overall health is not always addressed. As a teenager and even as an adult it’s easy to skip a flossing when you don’t have the whole picture — so we’ll shed a little light on dental care you can incorporate into your everyday routine to make you a healthier person. Start with brushing – Brushing is the beginning of a healthy mouth. Brushing twice a day is widely accepted by all dentists and dental institutions. This may seem like a no-brainer, but the shortcomings of brushing twice a day are prevalent in US citizens. It is estimated that 30 percent of Americans are not brushing enough — meaning twice daily. Brushing your teeth twice a day greatly impacts your overall health by removing plaque and food debris. This will lessen cavities and prevent gum disease that can then in turn lead to other harmful, systemic health issues. Start here! Start with brushing your teeth twice a day. 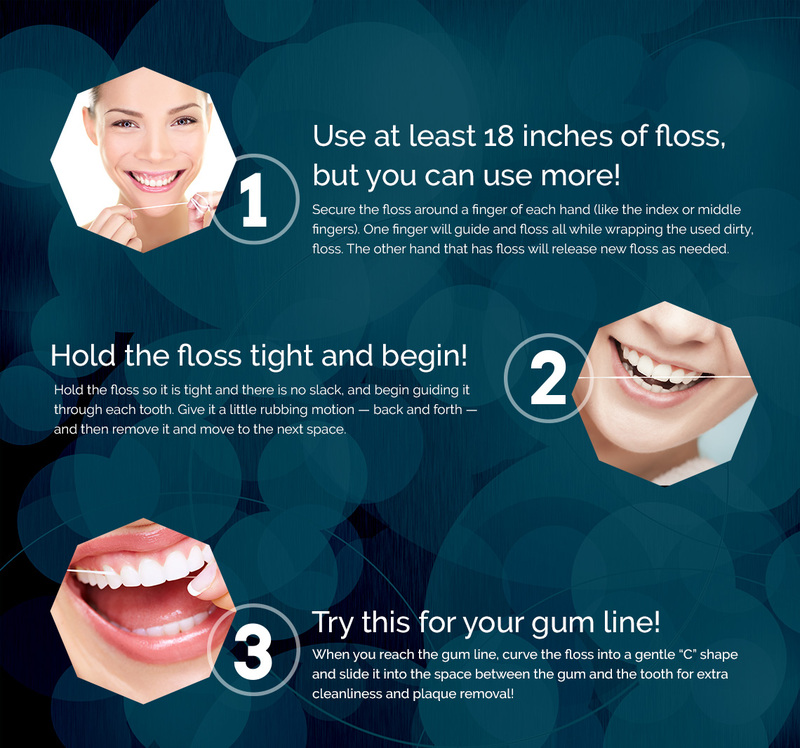 Floss – Flossing is a habit to develop now! Start flossing at least once a day. When you floss, you’re able to remove plaque and food debris that is missed by your toothbrush and it can get in between all the nooks and crannies of your teeth. As a result of actively flossing once a day you can prevent tartar and plaque buildup, and prevent gum disease and cavities. There are many options on the market including flossing picks, water flossers, and string floss, so please avoid your fingernails and paper clips (it happens more than you would think)! To put flossing up to the numbers, it does 40 percent of the work in removing plaque — remember a tooth has five sides — and if you don’t floss you’re leaving two surfaces subject to bacteria. Think about your food – There is now such a concept as a dental diet! A dental diet focuses on whole foods, while limiting processed, sugar-laden food and beverages. Remember to eat a balanced diet, and if you drink a lot of soda, kombucha, or coffee throughout the day, sip water with it to limit the acidic effects. When you eat is also just as important as what you eat. Try and stick with three meals a day, limiting snacks. When you consume a larger meal (not a snack) your mouth produces more saliva to rinse food debris away, decreasing cavities. During snacks, less saliva is produced leaving your mouth more vulnerable for bacteria to stick around. So, after snacks or sugary and starchy meals, rinse your mouth with water a couple of times to loosen and remove debris. Here at Precision Dental we offer patient-centered dental care to help put you and your family at ease. We encourage preventative dental care that includes a routine of daily brushing and flossing! Schedule with us today for your routine cleaning or reach out if noticed changes in your oral health.